As a mom of three who runs her own business, I don’t get much “free time” that I can use to run to the salon for a couple of hours of pampering. Unfortunately, it just doesn’t happen. Most of my pampering and extra self-care is done at home, when the kids are in the bed. I’m a girly-girl, so I LOVE playing with my hair, trying out new products, washing my face, all of it. 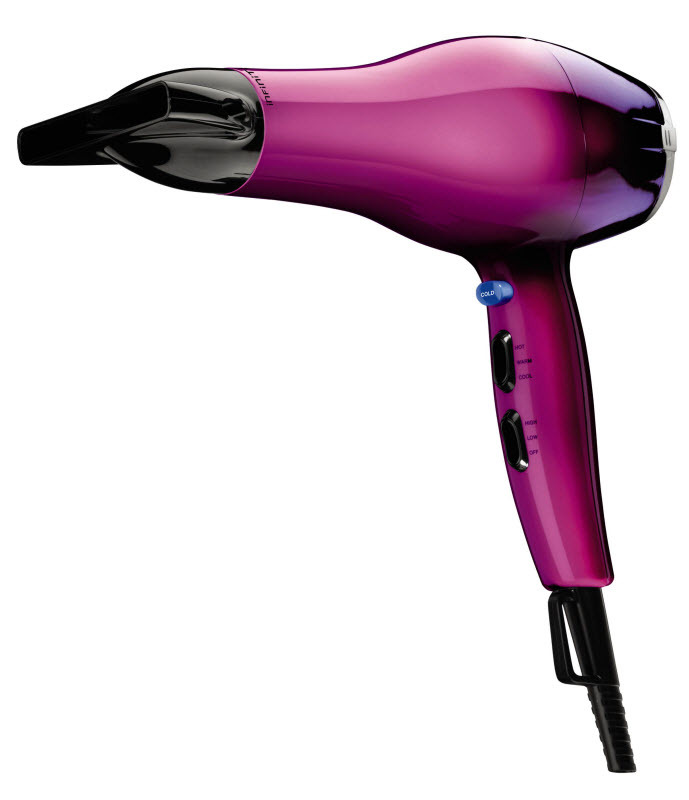 Conair lets you bring the salon home with their products. 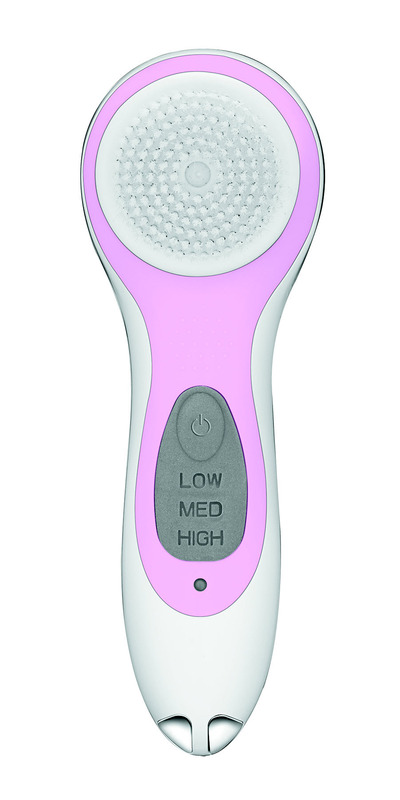 With the ?Conair true glow™ Sonic Skincare Solution cleansing brush, I can take a couple of minutes to myself each night and rejuvenate my skin – face and body! 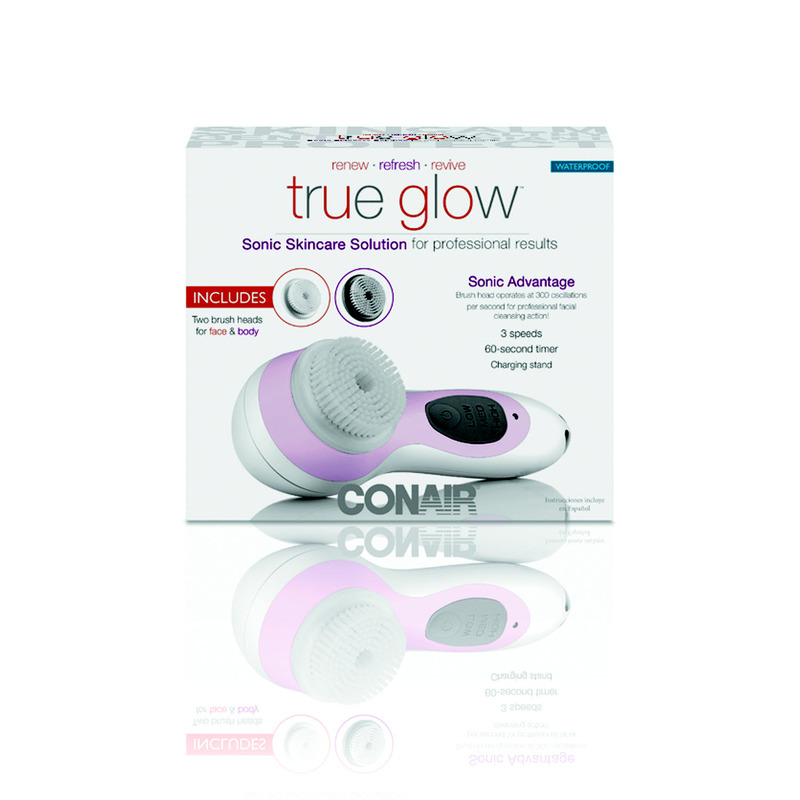 The best part about the Conair true glow™ Sonic Skincare Solution cleansing brush is that there are two brushheads – one for face and one for body. You can step in to the shower (it’s waterproof!) and gently cleanse and exoliate every inch of your body. The bristles are very soft, and because you don’t press down hard it’s very gentle and almost relaxing. There are 3 speeds operating at up to 300 oscillations/second, expertly extracting dirt and makeup from pores to prevent the formation of blackheads, while leaving your skin feeling healthier. It’s an easy way to take care of your skin whenever you take a shower! This beauty is the Infiniti Pro by Conair® 1875 Watt Salon Performance Motor Styling Tool. I have naturally thick and wavy hair, so if I don’t blowdry it will be very full, frizzy, wavy and I can’t stand it. I actually have my stylist take off a lot of hair when I go in for cuts – thin it out, layers – all in an effort to control the thickness and weight. I actually just cut it, and before when it was down to the middle of my back, oh my gosh it took FOREVER to dry. It was hard to manage, hard to get completely dry, and even harder to straighten. Using the Infiniti Pro by Conair® 1875 Watt Salon Performance Motor Styling Tool, I’m able to concentrate on specific areas with the concentrator adapter, which helps tame some of the waves as well. This is a powerful tool, and has my cut dry time by a lot! My hair is softer, smoother (woo hoo!) and because it’s saving me time, I can spend less time in the bathroom and more time with my family When we’re rushing around trying to get out the door, being able to just get it dry and straightened, or dry and pulled back is important. In case you don’t know where to find Conair products, check the product locator here: http://conair.com/where-to-buy-cn-15.html – I think you’ll find that you can buy Conair styling tools and other products close to you! You can also follow Conair on Facebook to stay up to date with product news and more. In the comments, tell me about your hair. Do you think Conair could help you pamper yourself and help you save time by bringing the salon home? This is a product-provided, sponsored conversation that contains affiliate links. I received the Conair true glow™ Sonic Skincare Solution and the Infiniti Pro by Conair® 1875 Watt Salon Performance Motor Styling Tool for my own personal use. All opinions, text and experiences are my own.